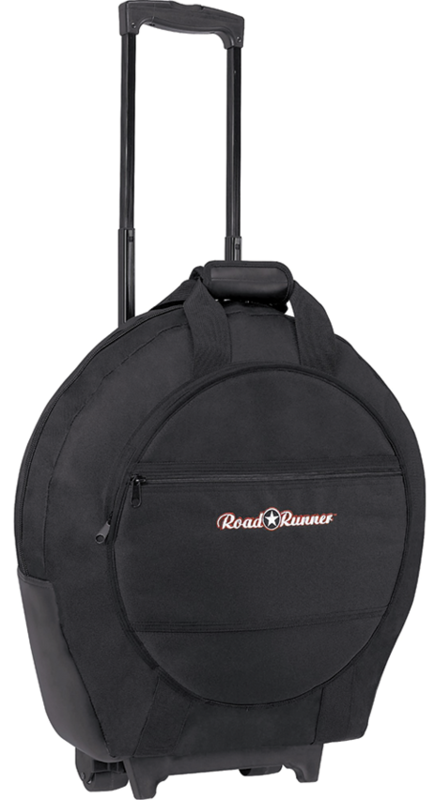 Accommodating cymbals up to 22″ in diameter, this rolling Cymbal Bag with Wheels by Road Runner protects your instruments with a luggage grade 600D nylon exterior and rigid padding with extra reinforcement for added durability. Includes a pocket on the front for a hi-hat and an additional accessory pocket. 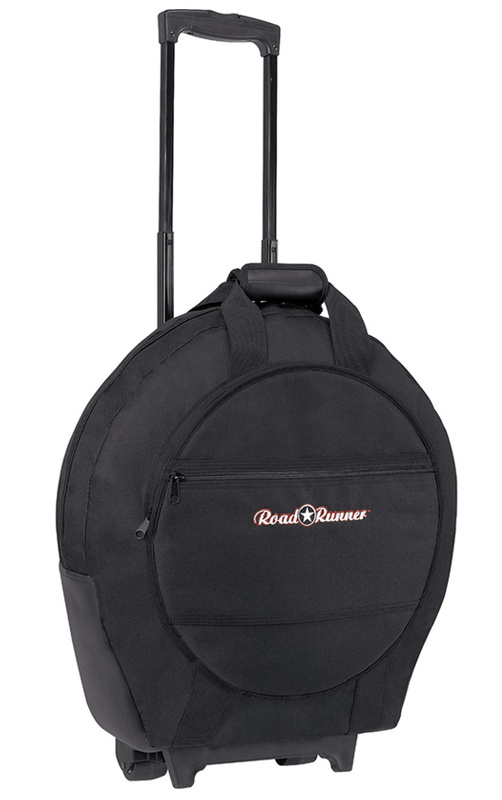 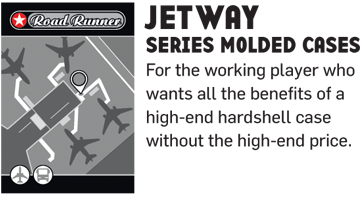 Heavy double-wide wheels provide extra stability and a luggage style telescoping handle makes for easy transport.